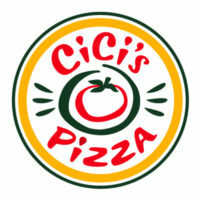 Cicis or Cici’s Pizza is known for offering its customers with various flavorful products. The shop may have pizza as its specialty, but its menu covers a range of simple snacks to bountiful meals. Its story started with a single restaurant in Plano, Texas that was founded in 1985. From then on, the store started introducing to the world the idea of unlimited pizza buffet. After more than two decades, the company has grown with over 450 restaurants operating in 32 states. Cici’s Pizza duly gives its employees the credit for reaching this success. The company offers its workers a benefit package including healthcare assistance, paid time off, retirement plans, and employee discounts. Other benefits may be available depending on the branch or franchise. Employees are given opportunities to improve their skills while getting paid. The diversity of the workplace also lets them have fun while passionately working. How old do you have to be to work at Cici’s Pizza? Job applicants are expected to be 16 years old or above to be able to work in the company. Shift Supervisor: This person is responsible for directing the shift operations of the store. He makes sure that the operations comply with the company’s standards. Assistant Manager: This person is in charge of the daily operations of the business. The assistant manager directly reports to the general manager. Food Prep Team Member: This member helps in preparing the orders of the customers. A team member is responsible for keeping their working area clean and sanitary. Delivery Driver: This person is responsible for bringing the customer’s orders to wherever they want it to be delivered. The delivery driver should exercise care and diligence in handling the orders. The other available job positions in the restaurant include franchise business consultant, cook, general manager, cashier, and waitress/waiter. A complete list of job offerings can be found in their website. After clicking the apply button in their site, the restaurant lets its applicants answer 15 questions, provide information and answer some questions over the phone. A code can be sent to apply through text messaging. The company makes use of both online and text messaging application. Though the former is more popular, it is in no way better than the latter. The applicants must make sure that they finished the application process since incomplete applications are not considered by the company. The resume must be organized. The applicants should include things that they contributed to their previous jobs and not just their job positions. This way, the hiring manager will have an overview of what the applicants are capable of. It is helpful for applicants to be knowledgeable of the food industry. They should focus on the company and the things that they can do for it. Interviews can make or break the applicants’ chances of getting hired. The restaurant brings together people for them to share memorable experiences. Their dedication to provide this kind of service is fueled by the different recognitions it received. It has been considered as one of the best family-friendly restaurants and the best kid-friendly restaurant by two magazines. The company is indeed succeeding in providing the services they promised to its customers. The G.I. Jobs also recognized the efforts of the restaurant in welcoming military officers to dine in its stores. Cici’s Pizza was considered a military friendly franchise because of this. The restaurant does not only offer the community its products. With its nutrition information and ingredient statements in their website, it also influences the people to be health conscious. It helps the community to be wary of what they eat.